Adam talks about the making of "Things I Didn't Say." Download Adam Lambert's album "The Original High" featuring the single "Ghost Town” now at adamofficial.com. Adam talks about the making of "The Light." Download Adam Lambert's album "The Original High" featuring the single "Ghost Town” now at adamofficial.com. Adam talks about the making of "Heavy Fire." 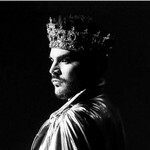 Download Adam Lambert's album "The Original High" featuring the single "Ghost Town” now at adamofficial.com.